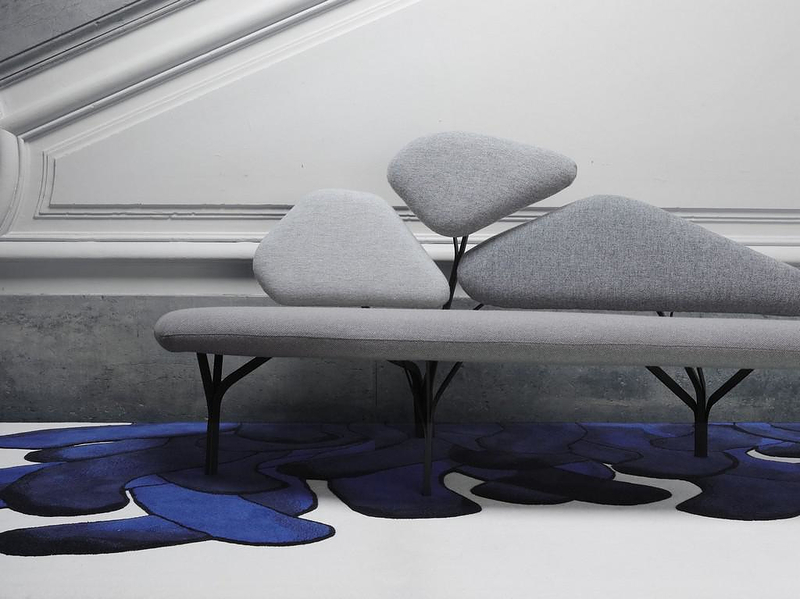 Borghese sofa & table by Noé Duchaufour Lawrance. 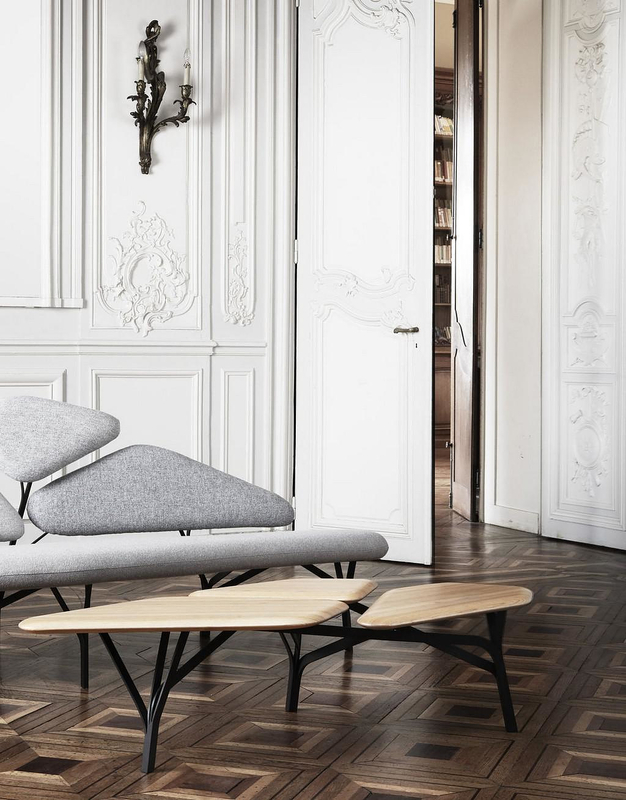 HomeBlogHome DecorBorghese Sofa & Coffee Table by Noé Duchaufour Lawrance for La Chance. 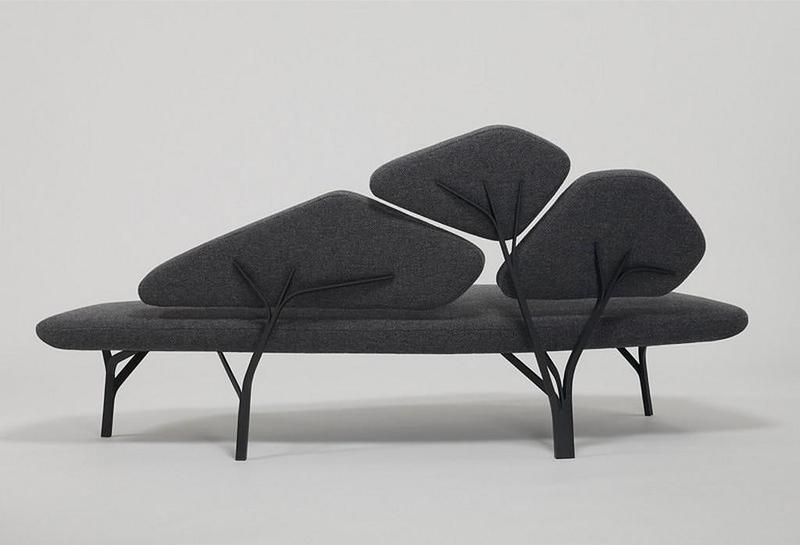 The Borghese Sofa and the Borghese Coffee Table were designed by French designer Noé Duchaufour and their beautiful irregular shape is inspired by the stone pines of villa Borghese in Rome. 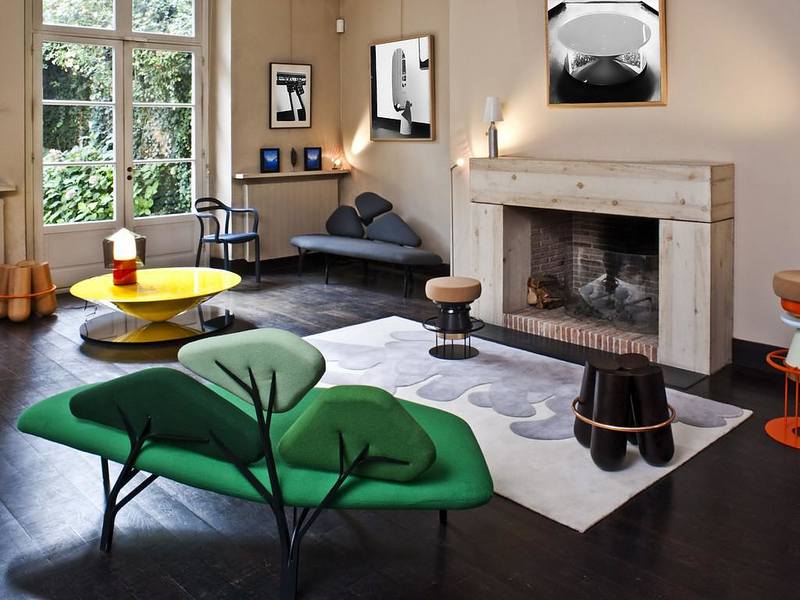 Both the Borghese Sofa and the Borghese Coffee Table are produced by French furniture maker La Chance. 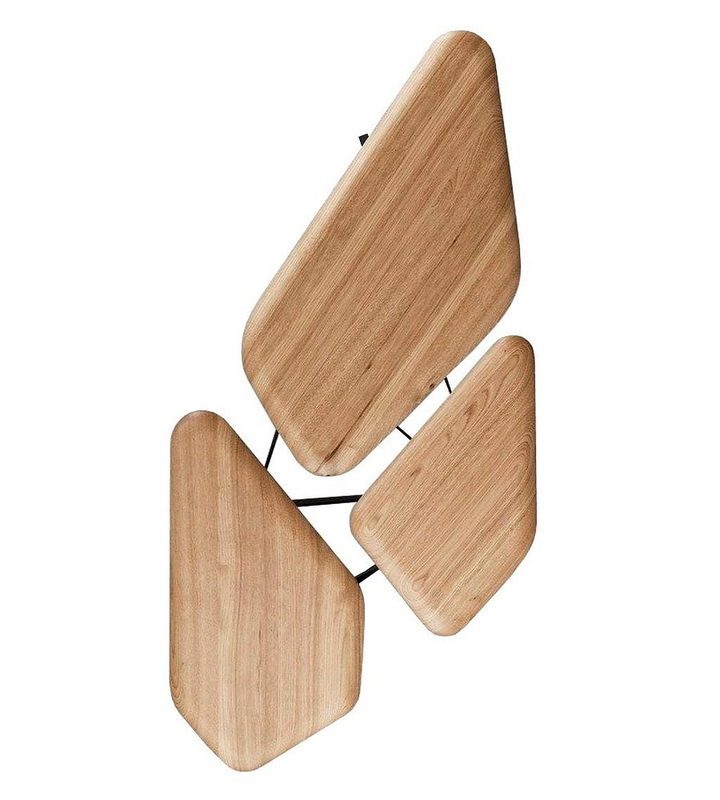 They feature similar organic lines and a slim, graceful supporting structure. 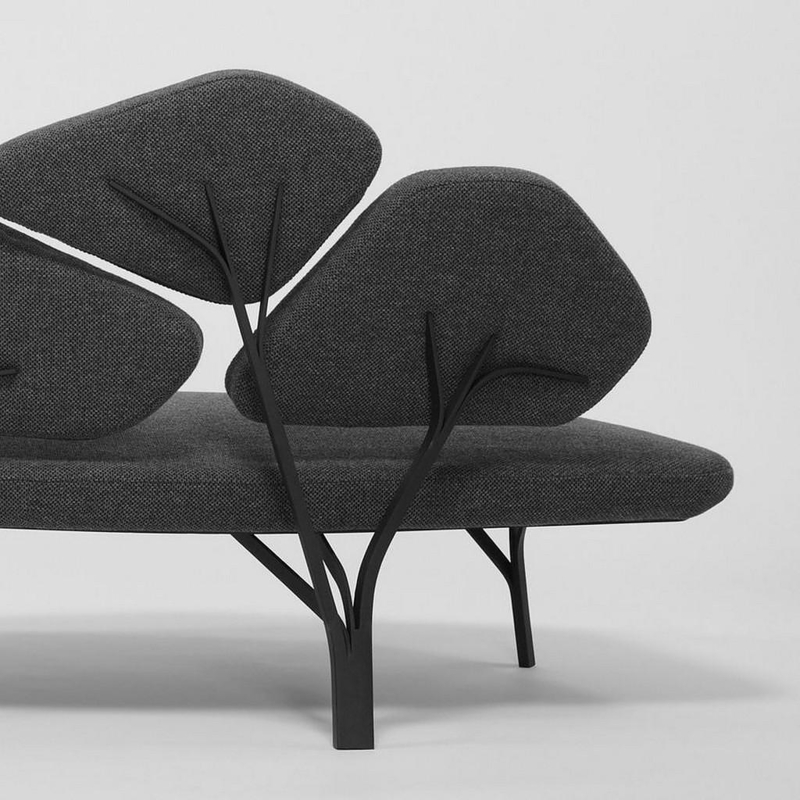 The Borghese sofa features a steel frame in the shape of tree branches that support the cushions. 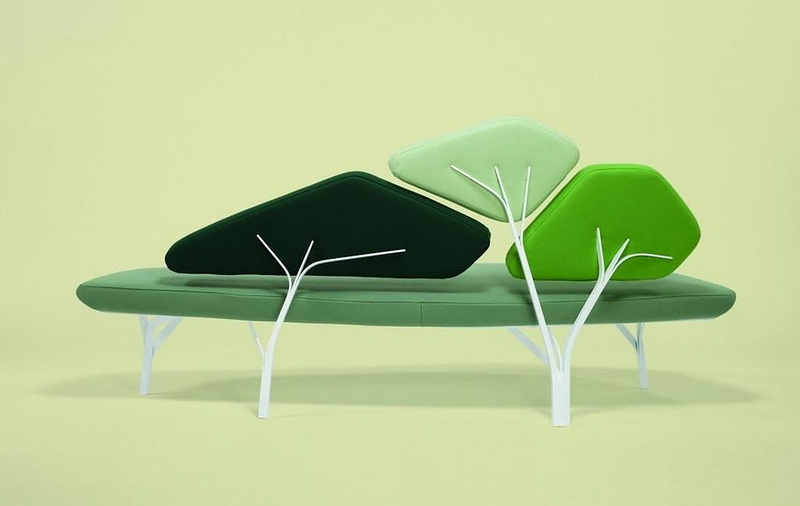 The cushions have rounded shape and edges that resemble the pine leaves. 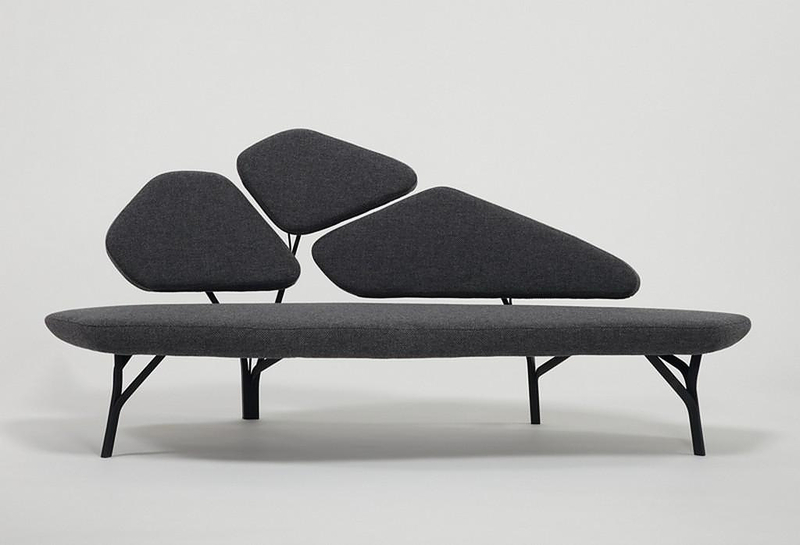 The overall result looks more like a landscape figure than a sofa. 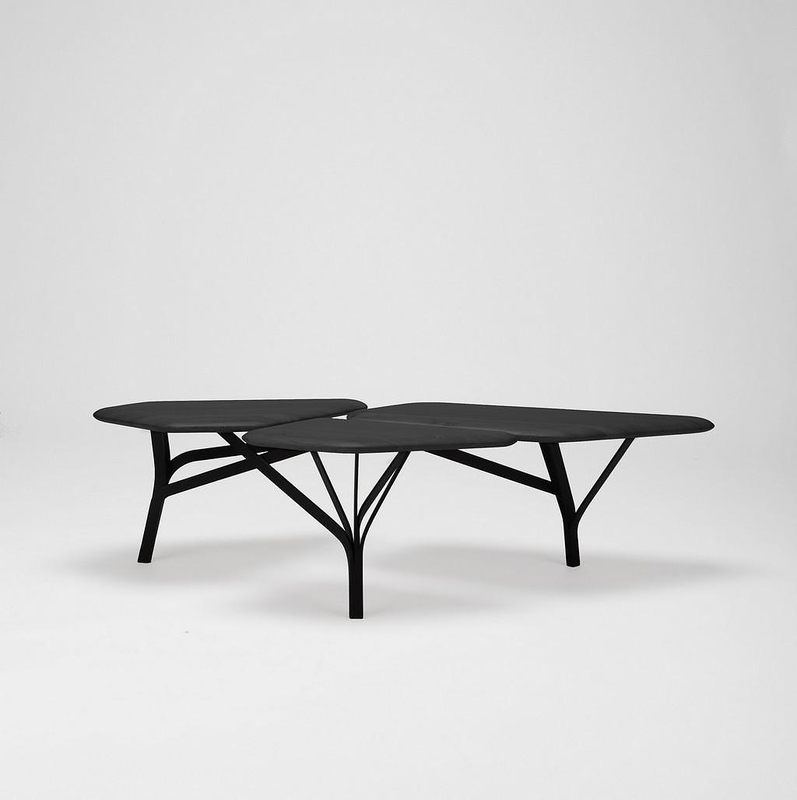 The Borghese coffee table matches the sofa. 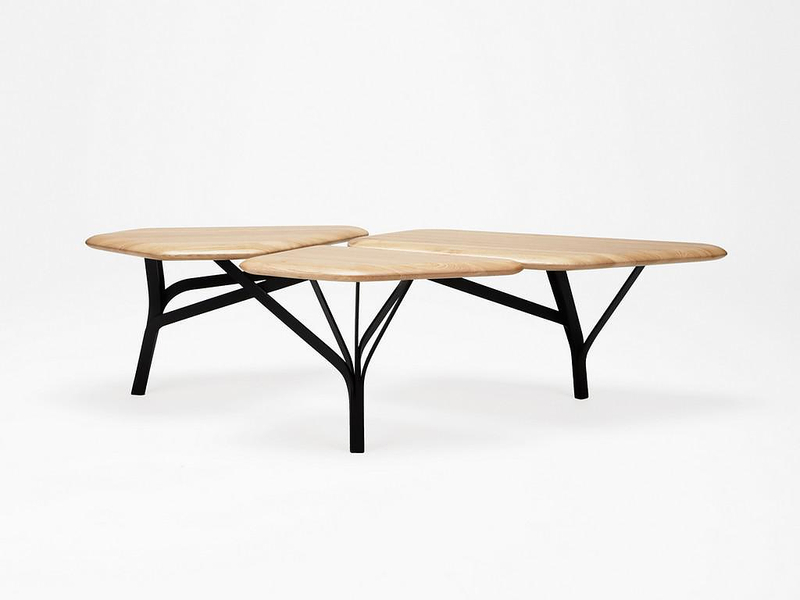 This time, the steel branch-like frame supports rounded table top panels made of oak wood in mat lacquer. 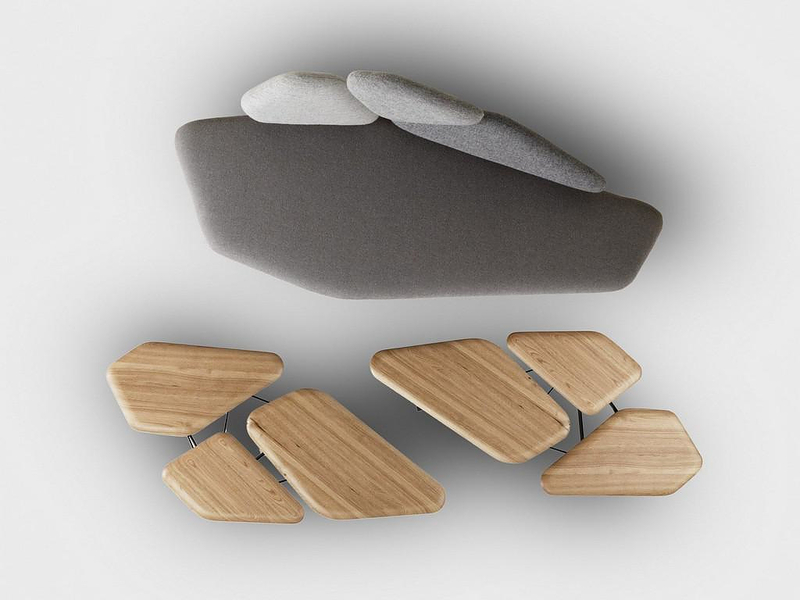 Combined together the two pieces form a relaxing scenery, ideal for the any modern living room. 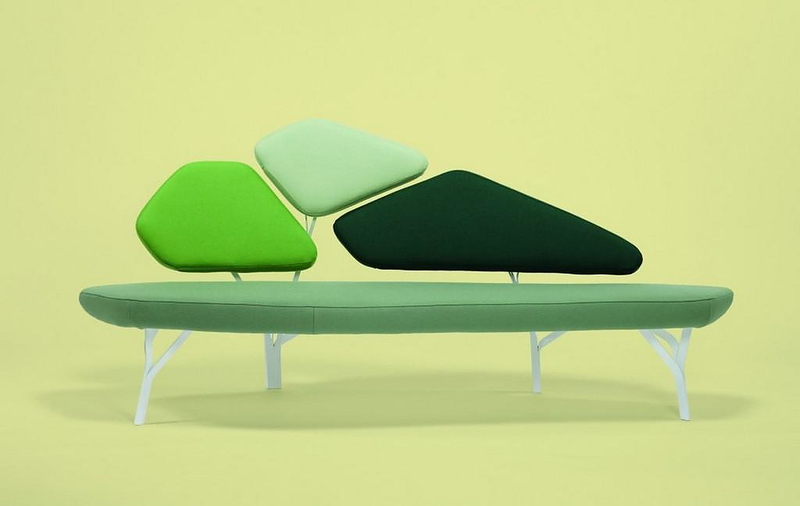 By looking the Borghese sofa, as well as the Borghese the viewer will surely notice Noé Duchaufour Lawrance‘s love for organic forms. No wonder that he began his career as a sculptor. 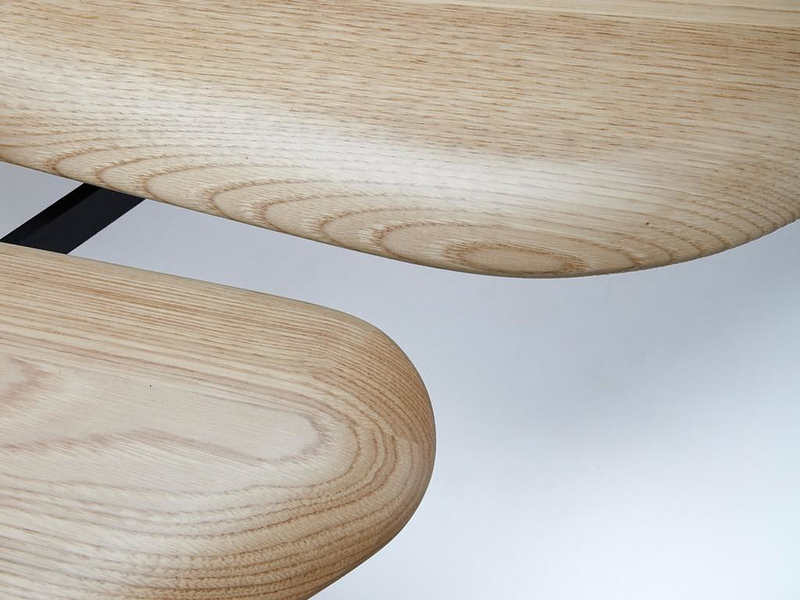 La Chance is a relatively new brand founded in 2012 by entrepreneur Jean-Baptiste Souletie and Louise Breguetbeen. 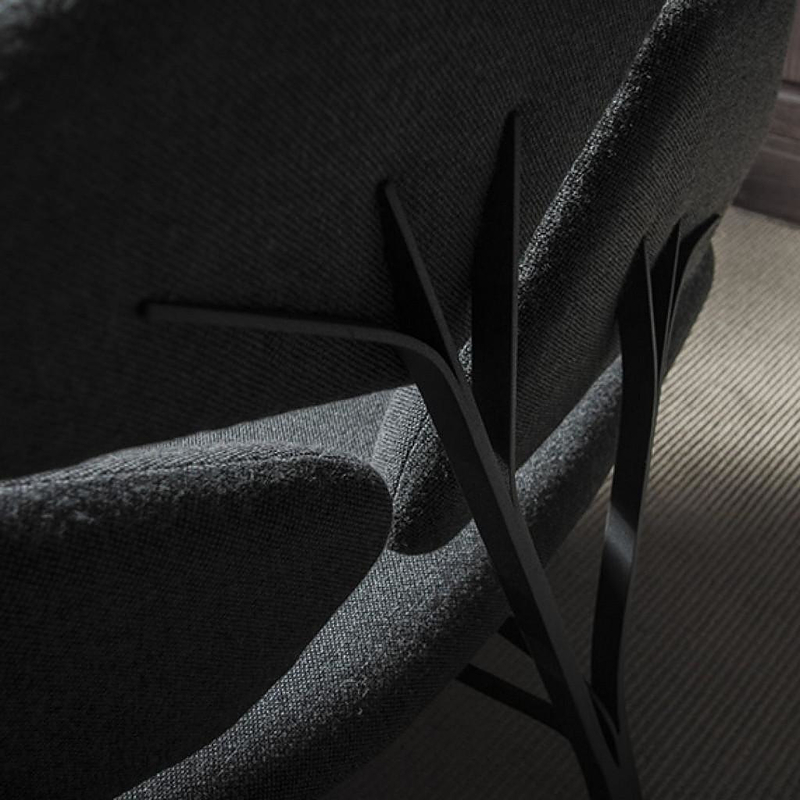 Based in Paris, La Chance has already a catalog of unique designer creation to present, the Borghese sofa & table among them.